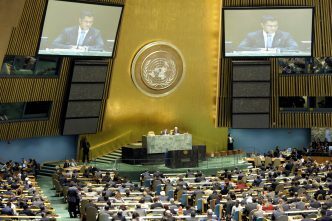 In a significant achievement for Australian foreign policy, UN members elected Australia to the UN Human Rights Council (HRC) last month. Australia will serve a three-year term commencing 1 January 2018. It now has the opportunity to substantially contribute to the pre-eminent intergovernmental body charged with protecting and promoting global human rights and addressing human rights violations. In my special report for ASPI about Australia’s rationale for seeking election to UN intergovernmental bodies, I explored the recently renewed criticism that human rights violators continue to be elected to the HRC, as well as the US pursuit of HRC reform. Reform is overdue and Australia should actively support initiatives to achieve it. Australia will join 46 members on the HRC including a number of countries with dismal human rights records. Among them are the Democratic Republic of the Congo (DRC), which was also elected last month. The HRC itself mandated an investigation into the DRC’s alleged atrocities. 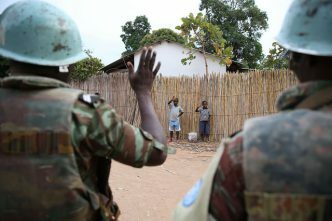 According to Human Rights Watch, government security forces have been responsible for many of the abuses in the southern Kasai region since August 2016 that have left up to 5,000 people dead, 600 schools attacked or destroyed, 1.4 million people displaced and nearly 90 mass graves across the region. The African group (the DRC’s regional group for UN elections) presented a ‘clean’ slate at the HRC election. Only four candidates, including the DRC, stood for the group’s four available seats. While that meant that there was no contest and no alternative to the DRC, member states could have abstained from voting for the DRC, preventing it from receiving the majority support necessary to be elected. Despite lobbying efforts and a notable shortfall in support (151 of a possible 193 votes), the DRC secured the required majority. The DRC’s election marks a low point in the HRC’s short history. The HRC’s predecessor, the UN Commission on Human Rights, was beset with criticism about ‘excessive politicization’ and states exploiting membership ‘to protect themselves against criticism or to criticize others’. It appears that history is repeating itself. The Americans voted against establishing the HRC because they weren’t convinced that the new body would be better than its predecessor and would go far enough to exclude some of the world’s worst human rights abusers from membership. Australia, with its ‘CANZ’ partners (New Zealand and Canada) did support the new HRC but wanted a stronger threshold for membership. In 2011, Australia’s Julie Bishop raised concerns about states such as Libya and Cuba being elected to the HRC. Bishop contended that allowing human rights violators to use the HRC to ‘air their repugnant views’ would cause ‘serious damage to the reputation and credibility of the council’. She concluded that ‘it is the responsibility of those nations which genuinely support universal human rights to prevent those regimes from achieving their goals [of avoiding scrutiny]’. Following the DRC’s election, Bishop said that the Australian government recognised the HRC’s failings and would work to improve it and the UN more broadly. Australia has already committed to ‘strive to ensure competitive HRC membership elections’. Competitive slates would be welcome, but wouldn’t prohibit gross human rights violators from membership. While difficult to define, more robust eligibility criteria should also be explored. Under the current UN resolution relating to the HRC, member states must ‘take into account’ a candidate’s human rights record and members that are elected to the council must ‘uphold the highest standards in the promotion and protection of human rights’. Clearly, these provisions inadequately regulate membership. 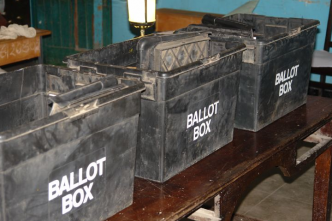 Reform proposals should require election by a two-thirds majority rather than a simple majority. It’s incongruous that suspending an HRC member requires a two-thirds vote while it’s significantly easier to be elected. 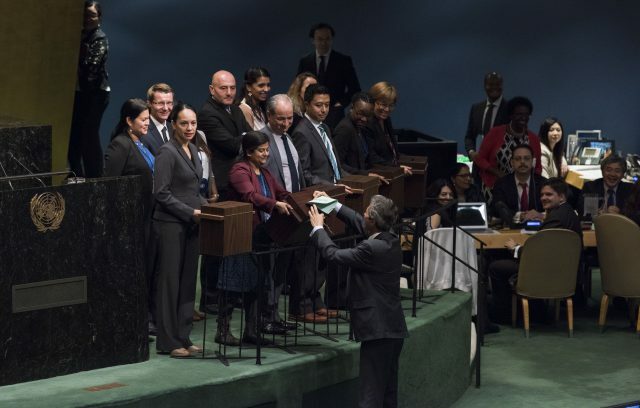 A two-thirds majority would also be consistent with the threshold requirement for election to the UN Security Council. Clearly sensitivities exist for the Australian government taking a leading role in HRC reform. Criticism of Australia’s treatment of indigenous Australians and asylum seekers has been compounded by the government’s recent rejection of the Uluru Statement and closure of the Manus Island processing centre. However, that shouldn’t preclude Australian efforts to reform the HRC. Australia’s HRC membership confers an even greater responsibility to pursue reform and ensure that the body delivers on its mandate to protect global human rights. The capacity for regimes with a history of systemic human rights abuse to exploit HRC membership by avoiding accountability diminishes both the body and, more broadly, the UN. As a committed multilateralist that relies on the rules-based system, that isn’t in Australia’s interests. Since the establishment of the HRC, Australia has consistently expressed concern with the integrity of the HRC membership and has urged reform. 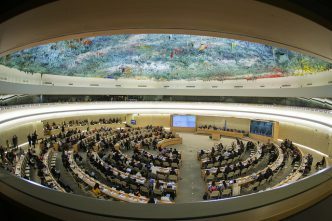 Australia now has a voice at the HRC table. It should use it. Sally Weston is a former DFAT officer who served as a legal adviser and sanctions expert on Australia’s Security Council team for the 2013–14 term. You can follow her on Twitter at @SallyMWeston. Image: UN Photo/Kim Haughton.